Coyote sightings and attacks on pets in Costa Mesa have been on the rise in recent months. The City has implemented a Coyote Management plan and offers the following tips and effective coyote strategies to help curb the coyote problem. Zika - which can cause severe brain defects in unborn children - is spread by mosquitoes, so the insects are being targeted in the southern US where Zika-carrying mosquito species live. Look what can happen in one afternoon! 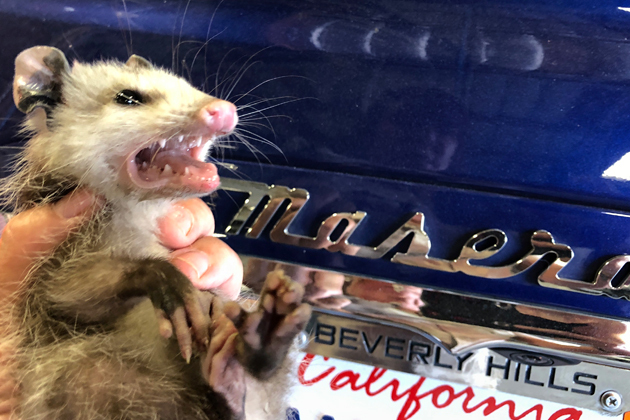 This afternoon we received a call about opossums in a car at a body shop in Morgan Hill. Workers needed the animals removed before they could make the necessary repairs. Apparently, two young opossums had made a nice nest in the engine compartment while the car was not in use. When we arrived, the local animal control was just leaving (empty handed). Workers at the shop were extremely helpful in assisting us in locating the marsupials. We had the car lifted and the shields removed. One ran out during the process, and was captured. The other was found hiding on top of the exhaust pipes. 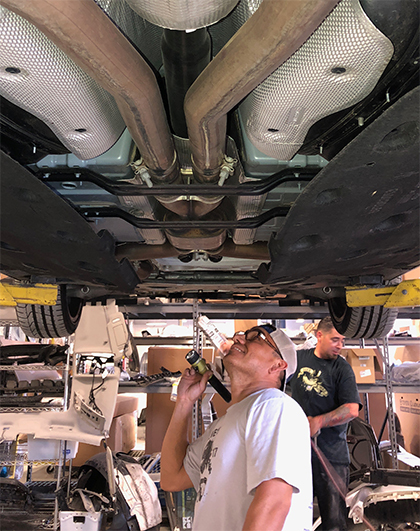 We had help from mechanics who used pressurized air to encourage the animal in our direction. Both animals were released that evening in their home territory. 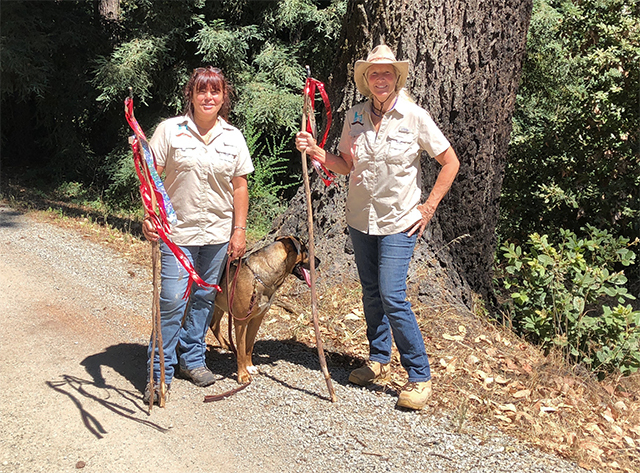 Today, our team helped herd 6 mule deer from a wooded property in the Santa Cruz Mountains. Thanks to all involved, it was a success! Yay! 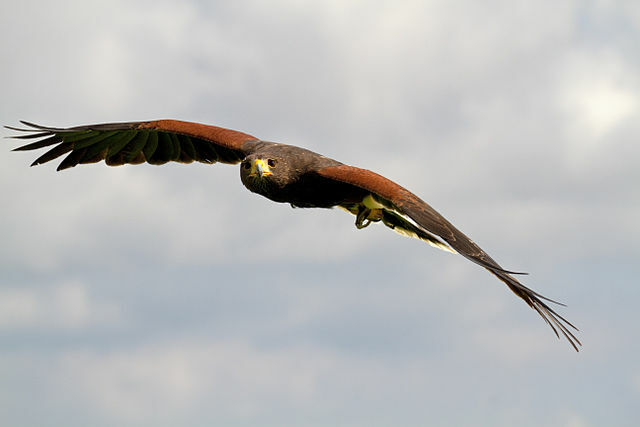 Interestingly, in California, Falconers are licensed through the state (CDFW), but those performing bird abatement using their own birds must also register through the US Fish and Wildlife Service. Furthermore, if there is or expected to be a "take", it is the responsibility of the landowner (not falconer) to obtain a depredation permit from the USFWS. We found this out yesterday after inquiring about a harris hawk being flown over Santa Cruz Subaru for a second day in a row - harassing gulls as it is supposed to do. However, there are active nests with young chicks on adjacent rooftops. The parents were aggressively defending their territory for long periods of time. At one point, the hawk attacked and injured one of the chicks. This type of casualty is considered "incidental take" and is expected. Gulls and raccoons and extraordinarily devoted parents. They will not give up trying to protect their young. So, while this hawk is doing it's job of keeping the Santa Cruz Subaru rooftop clear of gulls, its presence imposes an inordinate amount of stress on the neighboring gull parents. While we support the use of raptors to reduce avian conflicts, care should be taken in planning for the optimum, most sound, most humane use of the birds. In the end, we had a very good dialogue with the falconer. We just had to share this sweet story from one of our customers. We love working with people who share our compassion for animals, no matter the species. Enjoy! This is the picture of the little mouse nest I found while cleaning my garage. It was in a small doll's suitcase (circa 1964), nestled in a large cardboard box containing my childhood memorabilia. The babies were snuggled in a beautiful best made of holiday tissue paper and tiny shredded pieces of my beloved childhood books! When I realized mama was hiding in the box, but outside of the tiny suitcase, I quickly relocated the whole thing to a small, fenced area with my garbage and recycling. I covered the box with a big blanket, making sure the entrance/exit holes that the mother had obviously made were not blocked. We were having work done on the house, with workers coming and going, so I put a "PLEASE DO NOT MOVE" sign on top of the blanketed box. 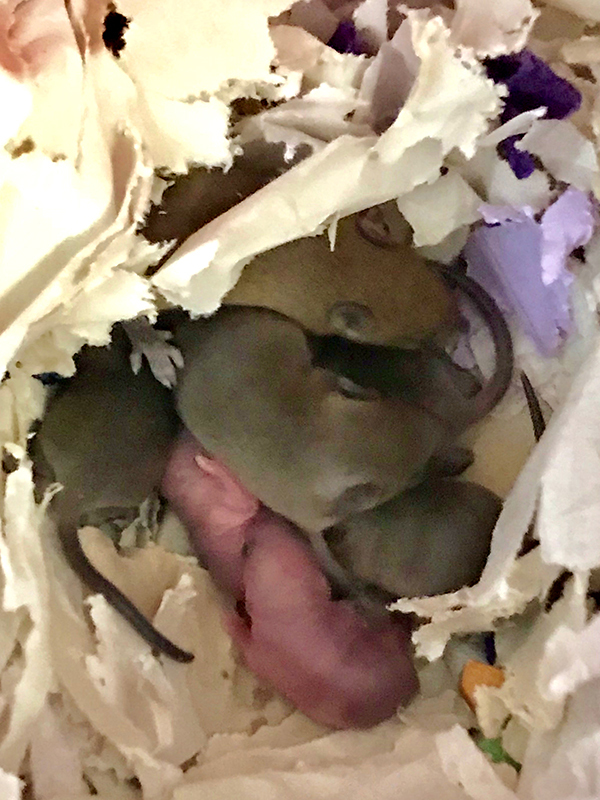 For the next twelve days I checked on the mouse family daily. There were 14 babies - a few appeared younger (as seen in the photo) - maybe there was a second mother? Often the mother was not present ... I'm assuming she was out scouting for food. I left water for her and seeds and grains from my pet rat's diet. All was happily eaten! It was fun watching how quickly they developed, and began running around! Four of the tiniest babies died. I buried them in a plant container full of colorful flowers. On the 12th day, when I went to say hello, I was surprised to find both the miniature suitcase and the box empty of mice! Other than one lone baby who jumped up and out and skittered off quicker than I could realize what had happened. They had graduated from their nest and were all off figuring things out. I just prayed they ran in the direction of the creek next to my house, and not toward my garage! 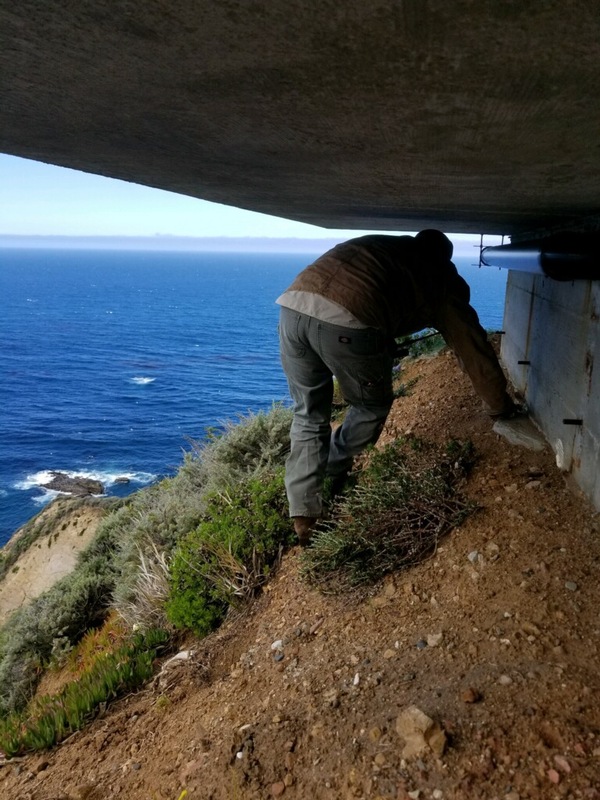 Rodent-proofing a home in Big Sur. Interestingly, in urban areas, there can be more mesopredators - opossums, skunks, raccoons, fox, coyote, per square mile than in a wilderness area. Why is that? Because the urban setting is a manmade ecosystem, artificially rich in food resources - lawns and lush vegetation, fruits trees and gardens, pools, ponds, pet food - it’s an oasis! So, wild animals are attracted by these food resources, and that usually leads to conflicts with the resident humans. Most people think, if they get rid of the animal, they’ll get rid of the problem, but, when you remove an animal a new individual moves into the vacant habitat and the conflict continues. Only when you address the actual problem will you achieve lasting results. The animals are not the problem - not really. Their presence is a symptom. The actual problem is whatever attracted them - a food resource! Remove the food resource or their access to the food and the animals will go away. The equation is that simple. Still, some people believe they must remove the animals so they resort to trapping or hiring a pest control company to trap and remove them. 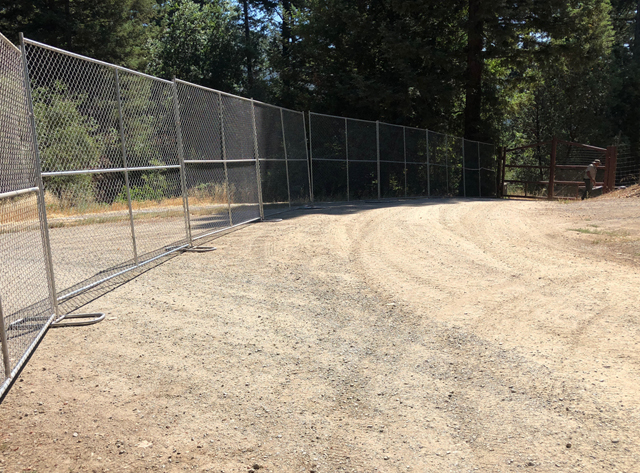 In California, in order to set a trap for a wild animal, whomever is setting the trap must first acquire written consent from neighbors that reside within 150 yards of the proposed trap location. It’s also illegal to trap a wild animal and release it somewhere else - for good reason. Research has proven most of the animals die trying to get back home. We find most people don’t want to hurt an animal or see it killed, they just want their problem solved. There’s an emerging branch of vertebrate pest control that is focused on just that - solving wildlife problems without harming any animals. The first ethical wildlife control company was started in the 1970s in Ontario, Canada. In the 1980s, the Humane Society of the United States published a couple of instructional books to help people resolve their problems with wildlife. 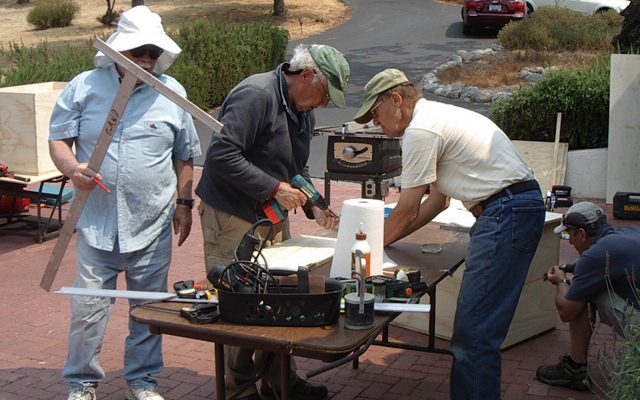 Today, there is a trade association and approximately 20 service providers in the United States that offer, exclusively, humane options to resolving wildlife problems. Locally, there is Humane Wildlife Control, with an office in North Hollywood, and Humane Choice Wildlife Services, based out of Oak View. These Humane Wildlife Control Technicians resolve wildlife problems through a holistic approach, taking into account all the factors that might be contributing to a wildlife conflict, including the health if the animal, time of year and the landscape. They will be looking for clues as to why the animal is intruding (usually a food resource), and how it’s accessing the resource. This will be key to solving the problem. 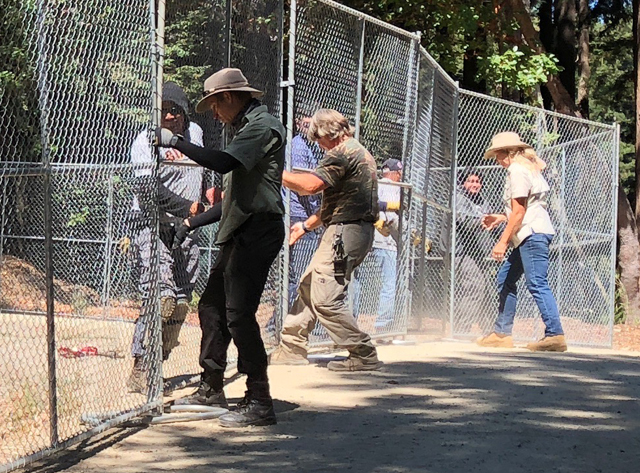 Next, they will apply some basic controls, which might include removing the attractant or the animals access to the attractant, often called exclusion. In spring and summer months - Baby Season - wildlife technicians have to be very careful when evicting or excluding animals, for fear of separating mothers from their babies. This time of year, technicians use gentler methods to get adult animals to self-relocate with their offspring. Non-lethal methods have also been proven beneficial in removing mice and rats from buildings. Again, the presence of rodents is a symptom - it’s an indication that there are breaches in the outer “shell” of the structure. 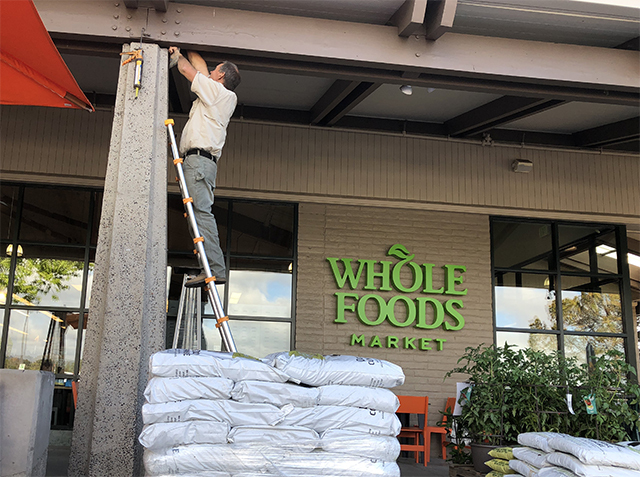 Once the holes are patched, the Humane Wildlife Control Technician will set live-catch traps to collect the rats and mice that are essentially trapped on the inside of the building. Traps are checked each morning, and the animals are set free just outside. It may sound counterproductive to set the mice and rats free in the yard where they can get back to the building, but that’s exactly what’s needed. Rodents are very smart animals - they know exactly their path inside, and we want them to try and get back in. That’s the only way we’ll know for sure that the rodent-proofing was sufficient. 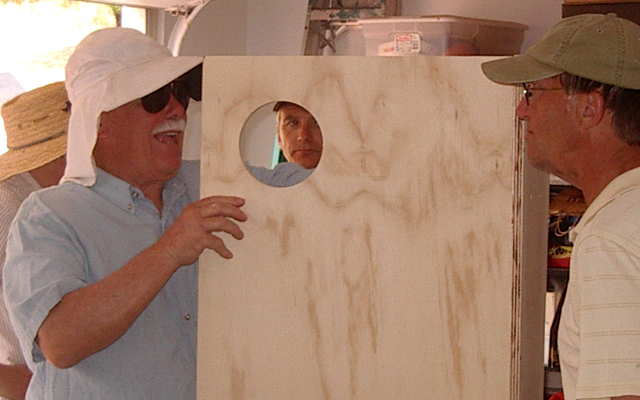 For some, rodent-proofing the home isn’t enough. They want to have something working on the outside the home to kill the rats. Unfortunately, the traditional poison can also kill owls, hawks, bobcats, fox, even dogs and cats are at risk. Second Generation Anticoagulant Rodenticides (SGARs) present such a risk to other animals and children, that the Environmental Protection Agency restricted the availability of products containing SGARs to the average consumer, but, they are still widely used by the pest control industry. Thankfully, there is a product to replace SGARs and other conventional poisons - RatX and MouseX. Made from, essentially, grain and salt, the formula kills mice and rats - only - by coating the causing the animals to stop eating and drinking. For those who feel compelled to have something in the yard to control rodents, we believe this is, by far, the safest product. Instead of using a commercial product to control rodents, why not invite a pair of American barn owls to take up residency and control mice, rats, voles, moles and gophers naturally? Barn owls are no threat to small pets. Even with a 4’ wingspan, they only weigh about a pound. Barn owls are cavity-nesters, meaning, they nest inside hollows, and they take readily to manmade structures, like owl nest boxes. 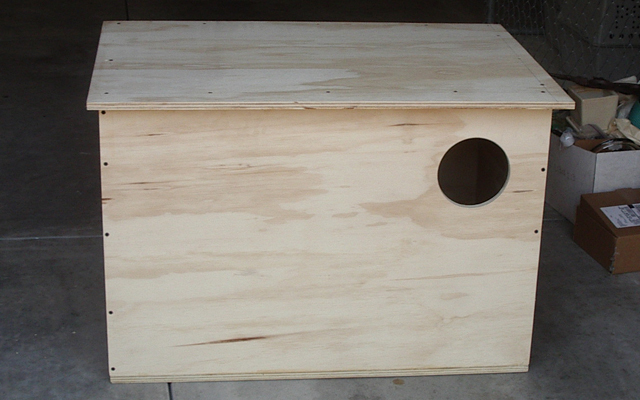 Nest boxes are simple, rectangular structures, usually made from plywood, with a sing hole, about 5 1/2” - 6” in diameter. 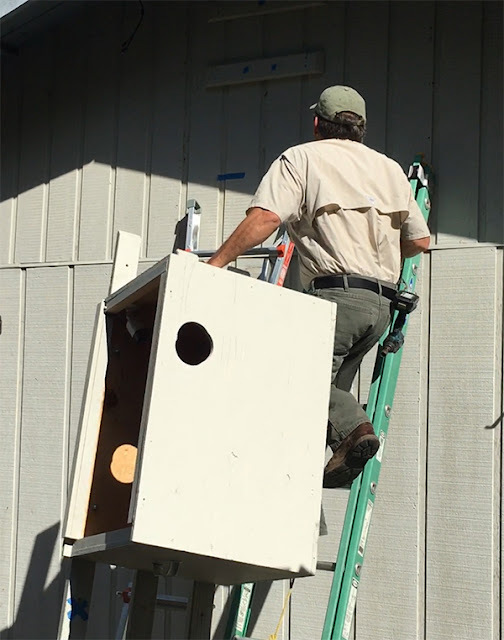 The nest box can be mounted in a tree or on a post, at least 12’ feet from the ground. 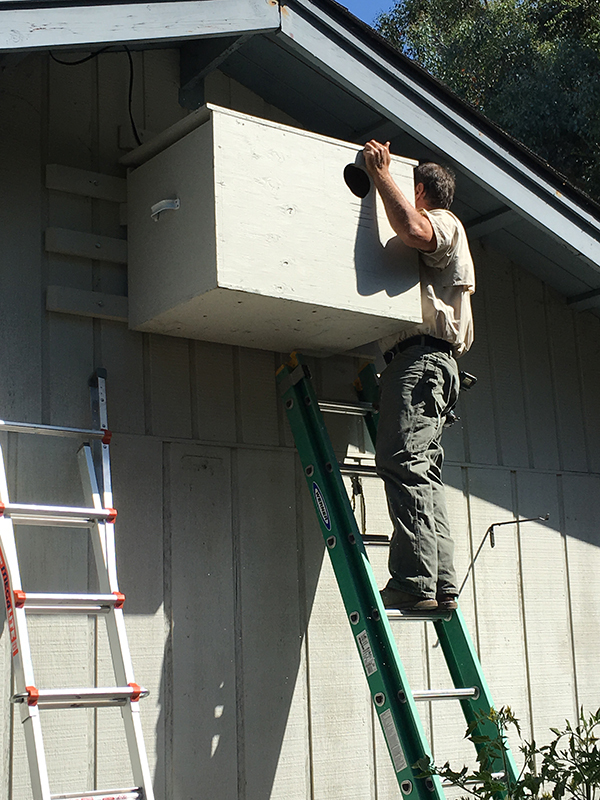 Ideally, pole-mounted boxes should be situated near a large pine or oak tree so the young owls have a place to hide after they fledge. The nest entrance should face away from prevailing winds and away from obstacles. Barn owls nest all year, sometimes producing two clutches. 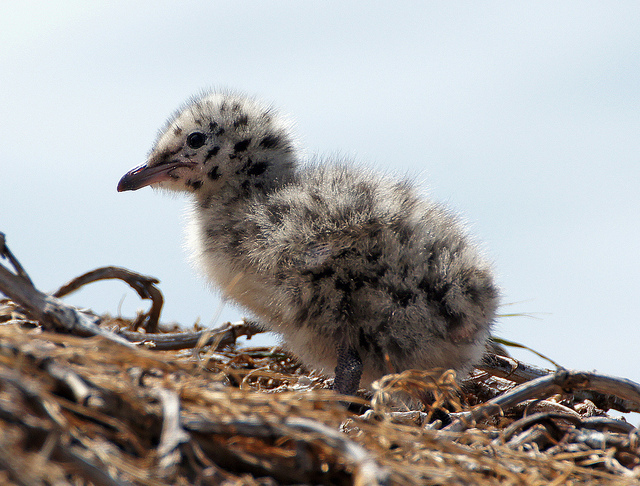 The number of eggs varies, but between 4 and 8 is typical. The hen begins brooding after laying her first egg, with a new egg produced every other day. Incubation is about 30 days, so a hen might be on her nest for six weeks, taking only a couple of short flights each night. This is one reason a large roomy nest box is important - so she can stretch her wings. 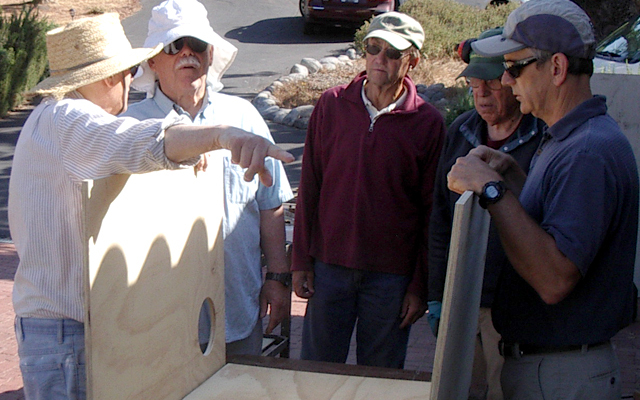 While there are a number of barn owl nest box designs commercially available, many are flawed. 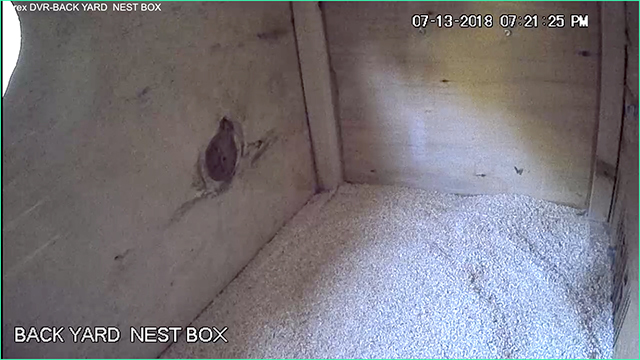 The Barn Owl Trust describe problems with poor nest box designs in great detail at https://www.barnowltrust.org.uk/hazards-solutions/poor-barn-owl-nestbox-design/ , noting how important size is. The nest box must provide ample room for the hen and her brood of young. Even more critical, the access hole. It must be high enough to keep the owlets safely contained until the are ready to fledge. The Barn Owl Trust recommends the access hole be no less than 17” from the floor of the nest. If you need help with building or installing a barn owl nest box or help resolving conflicts with wildlife, don’t hesitate to contact us.